Are you searching for the best board games for 3 year olds for your kid? Read on to checkout our top 5 reviews and recommendations for board games for 3 year olds. There is nothing more fun than a family home evening! Often parents are worried about playing board games with toddlers, but really, it is the best time to introduce them to the fun! Board games aimed at the 3-year-old crowd are often team games, or have easy competition, and are great learning opportunities for all kinds of things: number, letters, colors, you name it! Below are our top 5 favorite board games for 3 year olds that you absolutely would not want to miss! 6 5. Wonder Forge Richard Scarry’s Busytown,Eye Found It. This board game for 3 year olds is a bug award winning preschool skills builder game.This fun, cooperative game aimed at toddlers has won several prizes, and rightly so! 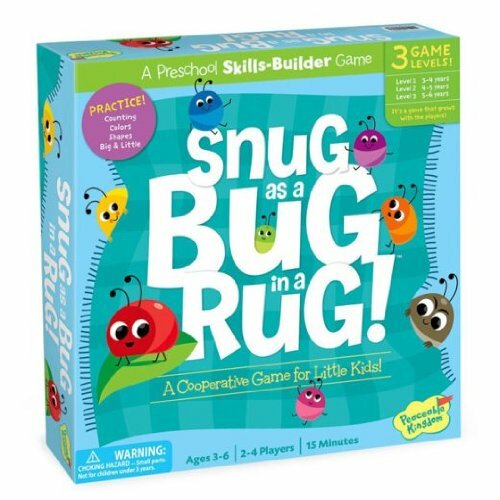 Players must use teamwork in Snug as a bug in a-back to make matches and get all the colorful creatures under the carpet before the three stinking creatures crawl on the carpet and stink the place up! It also offers three different ways to play the game based on age and skill, and offers years of fun! This exciting game helps to learn colors, shapes, numbers and counting. It also helps young children learn the basics of playing board games, such as patiently waiting and taking turns, turning a spinning spider and throwing a dice. Because this game is focused on teamwork and collaboration, it is not very stressful because all players work together against the bugs: there is no individual winner. 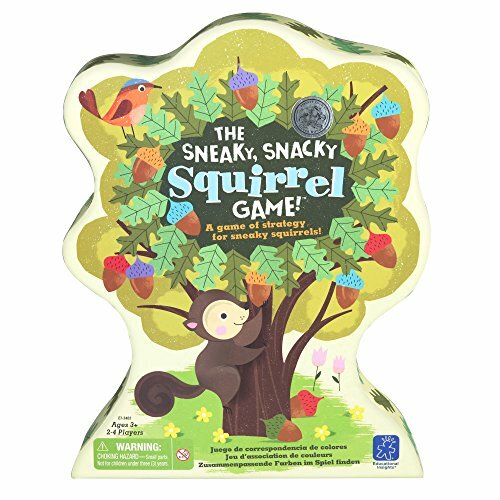 In this exciting game for 3-year-olds the squirrels are hungry and it is the task of the players to collect five acorns to win! Each player turns the spinner in turn and then uses the large squirrel tweezers to pick up an acorn and place them in the matching color in their own logbook. This exciting game not only helps to learn colors and similarities, but also helps to learn strategy with options such as “losing”, “stealing” and “choosing” for an acorn. The use of the squirrel-tweezers helps develop fine motor skills and eye-hand coordination. This game also helps with great social skills such as taking turns and good sportsmanship. 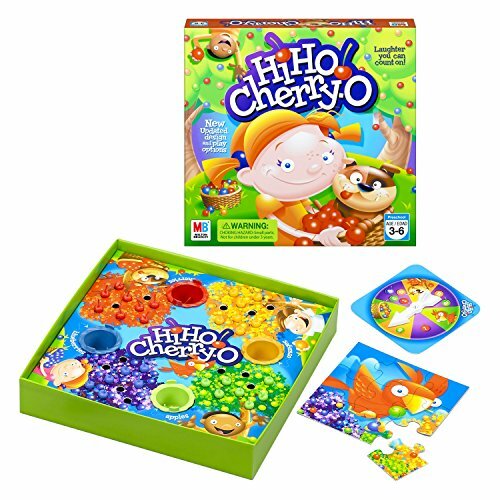 Hi Ho Cherry-O is a timeless classic game for 3-year-olds and preschoolers that makes counting fruit orchards fun for everyone! Each player first chooses a fruit (cherries, blueberries, oranges or apples) and races to fill his fruit basket. With the spinner the turns are taken where the player can count the number and that number of fruit can stop in their basket, or – uh oh! – their basket spills or a bird eats a piece of fruit, and they have to return fruit to the tree. Which player also fills his basket, wins first! This fun game teaches social skills such as taking turns, patience and good sportsmanship (not everyone is the winner! ), But also helps to teach and reinforce mathematical skills such as addition and subtraction in an exciting way. This board game for 3 year olds is another award winning builder game for preschool skills. Stack 12 blocks before the Stack Smasher comes! In this fun, boring, cooperative game, players work together to stack 12 blocks on top of each other before the Stack Smasher hits their tower. They turn once to find out what color of the block to add to the tower, and turn again for a tricky challenge to add the block, like putting it on top with their eyes closed! There are three levels and directions to play this game so that it grows with the children and their skills; have fun playing for several years. Pile up! 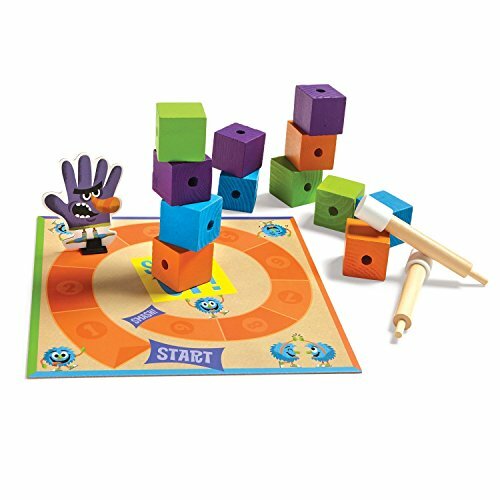 teaches great hand-eye coordination, color matching and balance, while teamwork is strengthened in a playful and positive way. 5. Wonder Forge Richard Scarry’s Busytown,Eye Found It. This game contains a board that is more than two meters long! 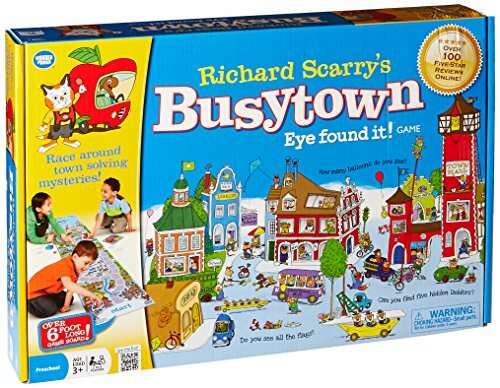 Players will work together as a team while hurrying through the world of Richard Scarry’s Busytown and searching for secret items. Pig Will and Pig will not be on a task to swallow all food on Picnic Island, and it’s the player’s goal to find all the hidden objects in Busytown before they do it! Each player takes a turn that turns the turntable to make a move. When all the players come on the ferry and to Picnic Island before the pigs have devoured all the food; the players win! Teamwork is necessary for this interactive and engaging game, and it also teaches counting and taking turns. So if you are ready to introduce board games for your little thing, go ahead and play one of these great games that will surely be a big hit! Looking for more board games for 3-year-olds? Check out our best strategy board games of all time and our list of board games with marbles. Feel free to checkout our top recommendations for other Board Games For 3 Year olds .Checkout what we have got below! If you have any questions or contributions regarding the Board Games For 3 Year olds reviews pls feel free to drop your comment using the comment box below.